Your message has been sent to collectivevaluecreation . Like authorSTREAM? Give us a +1! 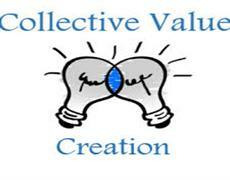 Collective Value Creation assists companies in the development and support of their Enterprise and Supplier Development strategies. collectivevaluecreat uploaded a new presentation "Enterprise and supplier development"
collectivevaluecreat uploaded a new presentation "Enteprise and Supplier development"
Enterprise development is a business to business transaction, where the aim is to provide contributions to assist in the operation of f..
collectivevaluecreat uploaded a new presentation "Goal of Enterprise Development"